Our team has developed a new overview on how to illustrate the most relevant terms and terminology of system administration. Categorized into various groups you’ll find everything from Ai like API or Rt like Router to Wm like WMI. It just looks a lot better on your wall than Post-its. 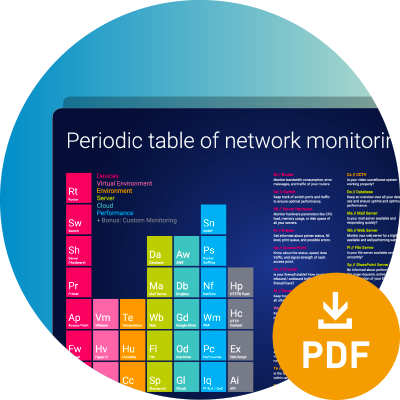 ... and gain an overview of all the important parts of network monitoring.